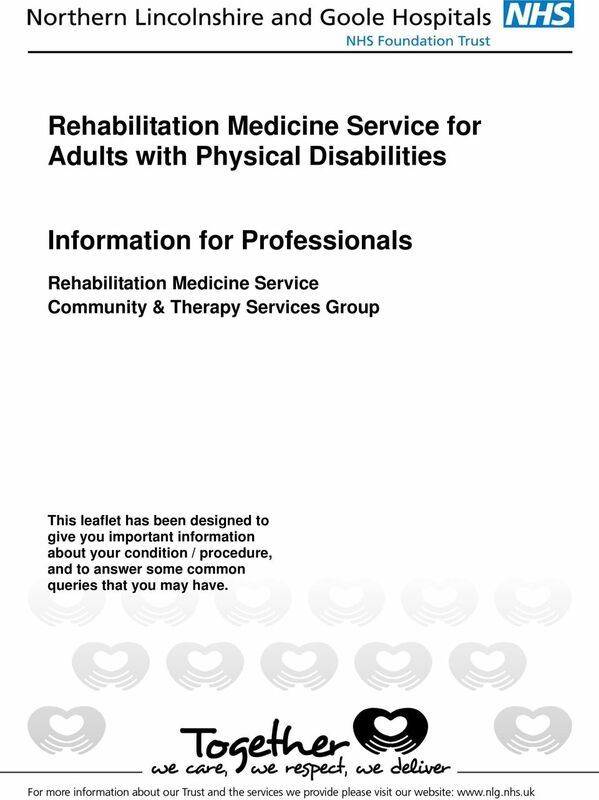 Download "Rehabilitation Medicine Service for Adults with Physical Disabilities"
1 Rehabilitation Medicine Service for Adults with Physical Disabilities Information for Professionals Rehabilitation Medicine Service Community & Therapy Services Group This leaflet has been designed to give you important information about your condition / procedure, and to answer some common queries that you may have. Are you planning on getting pregnant, already pregnant or recently had a baby? 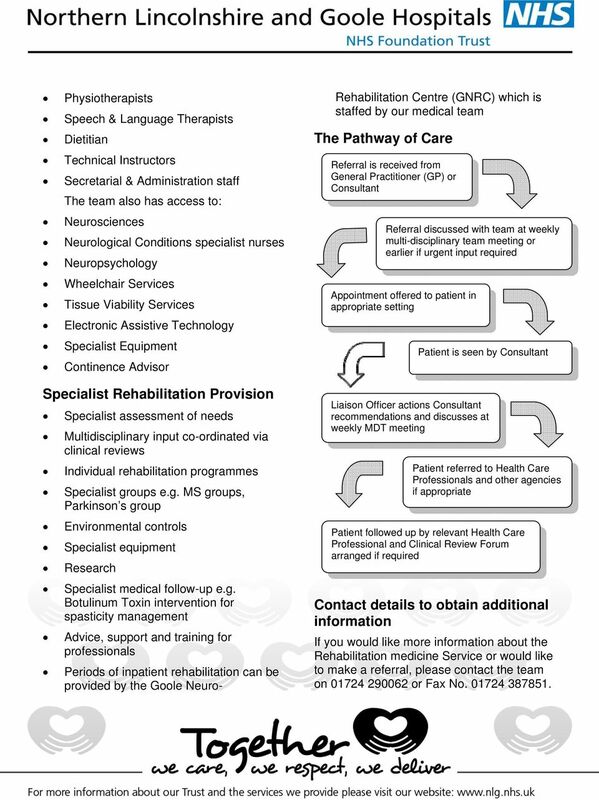 Goole Neuro-Rehabilitation Centre A guide for you and your family Who comes to GNRC? All our Service Users are people aged between 18 and 65 who have an acquired brain injury or other neurological condition. 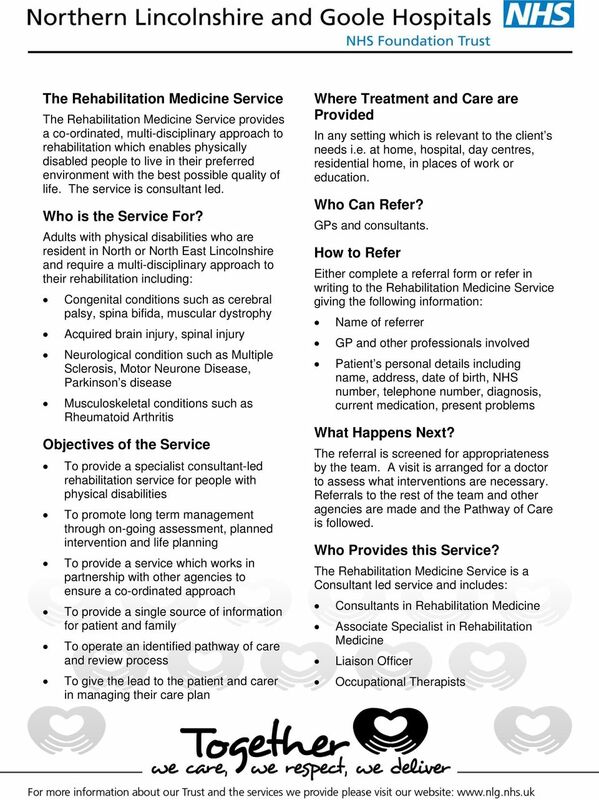 Good Samaritan Inpatient Rehabilitation Program Living at your full potential. Welcome When people are sick or injured, our goal is their maximum recovery. We help people live to their full potential. Children s Program Wascana Rehabilitation Centre CEAC 0146 January 2014 Notes: Welcome to the Children s Program We provide pediatric therapy services to children who primarily reside in Southern Saskatchewan. Saint Mary s Hospital Introduction to the Gynaecological Oncology Multi-disciplinary Team (MDT) and the Macmillan Gynaecology Service Information for patients What is a Macmillan Gynaecology Nurse Specialist? Private treatment. Which treatments are available privately? Can I have private and NHS treatment together? Stroke Helpline: 0303 3033 100 Website: stroke.org.uk Private treatment Because the NHS only offers limited access to some therapies after stroke, you might choose to explore the option of private treatment. 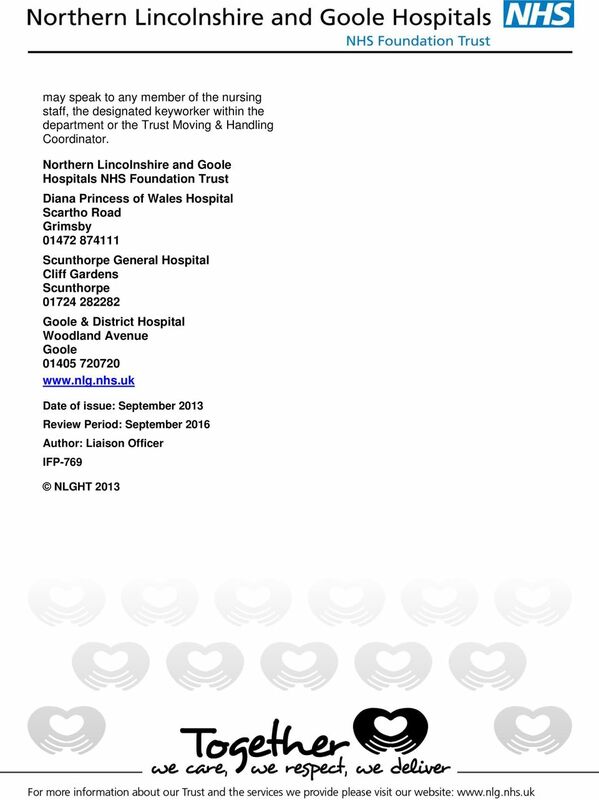 Costing report Stroke rehabilitation Published: June 2013 http://guidance.nice.org.uk/cg162 This costing report accompanies the clinical guideline: Stroke rehabilitation (available online at http://guidance.nice.org.uk/cg162). CCS - Does CCS provide Counseling or Support Services? CCS - Are there any costs to me? CCS - What papers should I bring? Private treatment. What private treatments are available for stroke? 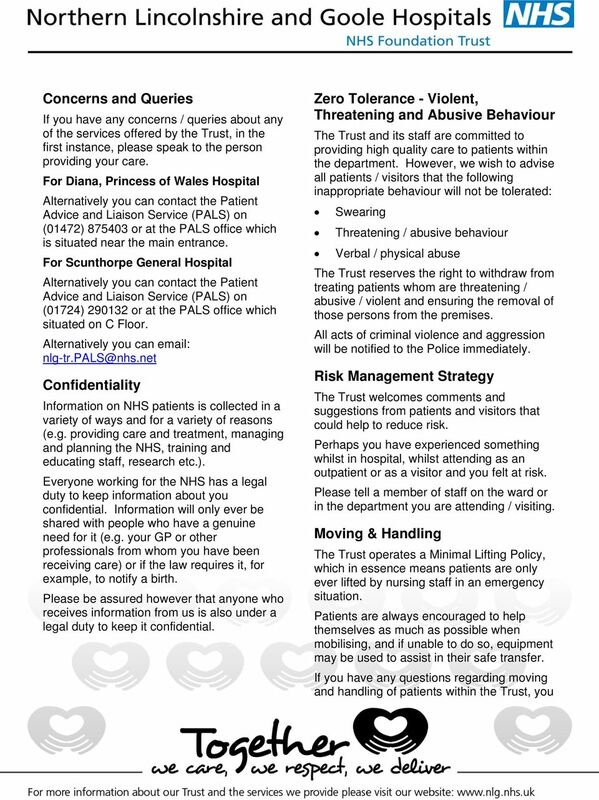 What is private treatment? Why would I consider private treatment?